The wonderfully multi-cultural Malacca city (can also be spelled Melaka) is the capital of the state of Malacca, which is in the Straits of Malacca, southern Malaysia. MC is home to 500,000 plus inhabitants. The city is located on both sides of the meandering Malacca river, near the river mouth. The city is situated 152km from the Malaysian capital, Kuala Lumpur, and 245km from Singapore. MC is truly a diverse melting pot of all cultures due to its colourful history and many interracial marriages during the era of the Malacca Sultanate. The city is a beautiful mix of modern buildings, amazing cultural sites and historical buildings. No wonder the city itself is a World Heritage Site (UNESCO). MC is also listed as one of the historical cities in Malaysia as it was founded in 1400 by a prince from Sumatra. Due to the fact the Portuguese, Dutch and British had all taken power over the area at one point, the city continues to have remnants of its intense, rich past making it a very varied place with lots of cultural events. Because of the city’s stunning uniqueness, it attracts flocks of tourists each year and is one of the most popular tourist destination sites in Malaysia. MC is continuously prospering with new developments and the economy really thrives off tourism. The Strait of Malacca is one of the world’s major ports adding to MC’s economy. Malacca is really a place for eager historians, nature enthusiasts, food lovers as MC is famous for its tantalizing foods and people wanting to experience how diverse Malaysia can be with all of its cultures and religions living in harmony. Malacca is a popular place for investors and is predicted to be even more desirable in years to come. This is due to new developments happening in the state, including the MOU between Malacca Guangdong province, an extension of the airport of Bukit Berendam and the Melaka Gateway project. 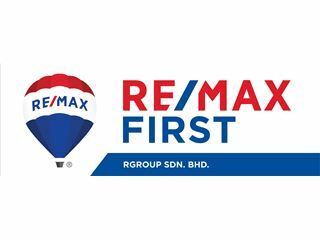 Cassandra Tio, the head sales and marketing of Malaysia-based property developer Hatten Group, stated that; "Investing now in areas that are still in the midst of budding, such as Malacca, Kuantan and Ipoh, will give a first-mover advantage”. Residing in MC, is one of the top places to live in Malaysia due to the quality of life that it offers. The fact that the cost of living in MC is so much cheaper than in Kuala Lumpur makes it very attractive and it’s still relatively close to Kuala Lumpur or Singapore for a shopping visit or a city vacation. As MC is located by the river, many locals, expats and tourists enjoy the waterfront, relaxing cruises and appreciate the nature. The climate is another reason why MC is so desirable as it is one of the driest areas in Malaysia, therefore, there is no real monsoon season. If it does rain, it’s usually in the evening. This means that MC’s weather is very stable and the tropical sunny climate will never fail to impress. Living in MC means that inhabitants can have the city life with lots of luxuries like premium shopping malls, great places to eat and buzzing markets and streets but it’s also close to nature. For example, stunning stretches of beaches and blissful islands. So it’s easy to take a break and go to experience an exotic beach paradise for a few days. There is a lot going for the city which makes it an appealing place for buyers to lay down roots. From Chinese shophouses to Dutch village houses there are more than enough sites to keep you on your toes. The vibrantly decorated trishaws are also unlike anywhere else in Malaysia. MC is filled with a mixture of people who are also famous for being super friendly and welcoming. It’s known as a “fusion city” where East meets West. Malay is the lingua franca of MC but English is widely used in business and tourism sectors so learning some Malay phrases would be useful but learning the language is not totally necessary. Other languages are also heard like Malaccan Malay, varieties of Chinese, Tamil and, interestingly, a language called Kristang (Portuguese Creole). The mixture of languages reflects the history and varied culture in MC. Shopping fans will be spoilt for choice in MC with many malls and markets accommodating all tastes and budgets. For a more Western shopping experience, Dataran Pahlawan Melaka Megamall is perfect for purchasing international brands and being near all the other tourist attractions in the city. It’s really the best place for shoppers-till-you-droppers. Mahkota Parade Shopping Mall is another cool place for shopping especially people looking for a bargain or cheaper, more traditional Malaysian items. The mall contains international brands and popular local ones too as well as beauty salons. For the non-shoppers, Melaka Mall has an MBO cinema complex. There are also markets with authentic Malaysian goods like beautiful hand-woven fabrics, hand-made jewellery, delectable delicacies and much more. MC has a rich heritage and magnificent architecture influenced from past European empires and its cultural history seems have permeated through to the eclectic gorgeous food scene in the city. MC lures many visitors in due to its exotic, taste-bud-tantalising cuisine offering local and international dishes to devour. The most prominent and special dishes being from the centuries-old-culture of Peranakan or Nyonya which is famous for mouth-watering foods such as” Ayam Pong Teh' a signature dish consisting of Nyonya chicken and potato stew. There are many restaurants, food stalls, and cafes in this food-loving city so eager foodies will find no shortage of fine dining experiences, trying casual snacks at tasty markets or having a leisurely lunch overlooking the majestic Malacca river. A couple of restaurants to definitely try are the vibrantly coloured Restaurant Tong Sheng Chinese restaurant located in the centre near the nightlife scene. Also, The Mansion restaurant which fuses together all the cultures of Malacca’s past and present together including Portuguese, Dutch, British and Nyonya cuisine. The food is filled with rich flavours and spices which will have you trying everything on the menu especially the Nyonya starters and the satiating, sweet deserts. but it’s still very limited. There are also long-distance buses available connecting MC to Kuala Lumpur, Johor Bahru and Singapore. Another easy way to access MC is to drive which is accessible from North South Expressway so grabbing a taxi or self-driving is possible. MC is located in a convenient location to not only go to other Malaysian cities but also there are daily ferries to Indonesia. Getting around the smallish city of MC can be easily done on foot so you can enjoy all the city’s sights and sounds. Other popular means to travel around the city are by bus, taxi, trishaw, monorail and bicycle (it’s very fun and easy to hire a bike to explore the city). The narrow streets of MC can get clogged quite easily so driving is not really recommended. There are a handful of universities in the prospering city, a few being Multimedia University (MMU), Pusat Latihan Teknologi Tinggi (ADTEC) Melaka and Stamford College Melaka. There are also many primary and secondary schools in the city and many religious, vocational and boarding schools outside of the city’s metropolitan area. Melaka International School, Wesley Methodist School and Pay Fong High are a few of the private independent schools in MC. 1.Jonker Street Market- The world-famous market makes for a walk to remember. The street is lined with historical buildings and museums, food stalls and vendors selling everything under the sun including traditional Malaysian goods and foods- day and night. Spice up your life by purchasing delicious Malaysian spices and check out the delicate handmade jewellery too. 2.Baba & Nyonya Heritage Museum- The museum focuses on the history of the Chinese-Malays (also called Baba-Nyonya or Peranakan) of Malacca. 3.Chinatown- Although it’s touristy, Chinatown in Malacca has remained very authentic with traditional temples, food stalls, Chinese shophouses which are all beautifully decorated and magically lit with orange and red lanterns. 4.The Dutch Square- Take a mini-trip to Amsterdam by visiting the picturesque streets filled with Dutch-colonial style houses built in 1660-1700. 5.Malacca River-A cruise past of the historical sites or a simple stroll along the river is a great way to appreciate the city’s splendour. 7.Pantai Kundur- A pretty beach in a peaceful village only 17km away from MC, perfect for family picnics, cooling off in the sea and fishing.